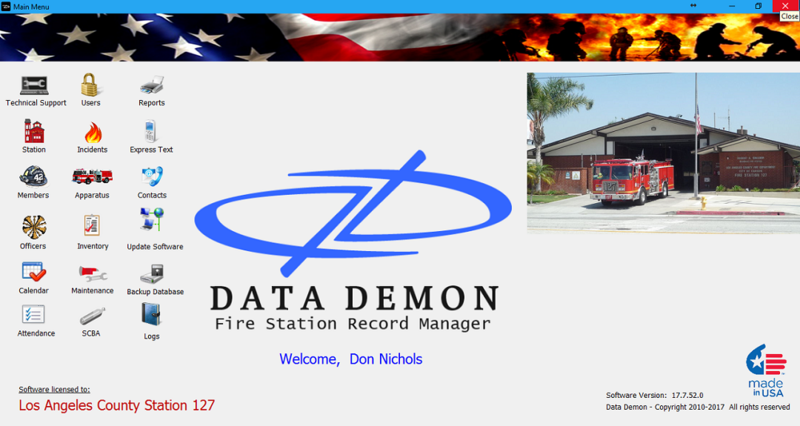 Personnel information, training records, and inventory are entered and edited at your command. CPR and EMS expiration dates, mask fitness test dates, yearly physicals and drivers license ID numbers including class and expiration dates are all available for review and print out for insurance requirements. Photo ID badges and accountability tags can also be printed for each member. 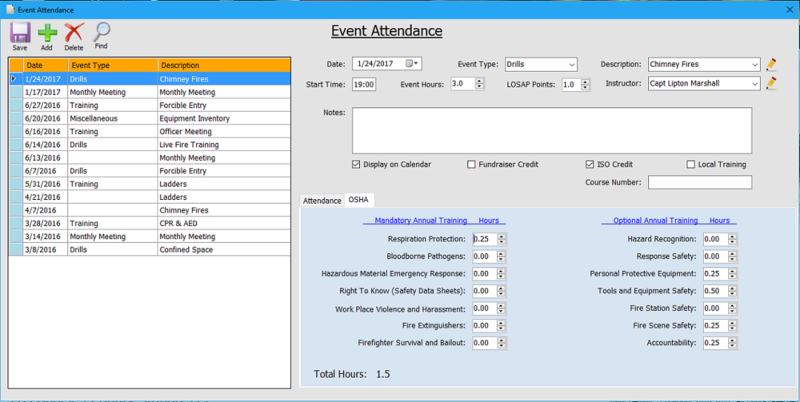 Allowance for comprehensive tally of all Fire/EMS calls, drills, meetings, training and miscellaneous functions that can be customized to your fire department preference. OSHA mandatory 8 hour minimum yearly safety training records are kept for each individual. A report can also be provided and printed out for the department as a whole or individualized for a total of all calls credited for and attended. Tracking report of the minimum recommended amount of safety training required by OSHA per individual for the year served.  All reports can be printed and provided for review by authorities requesting. 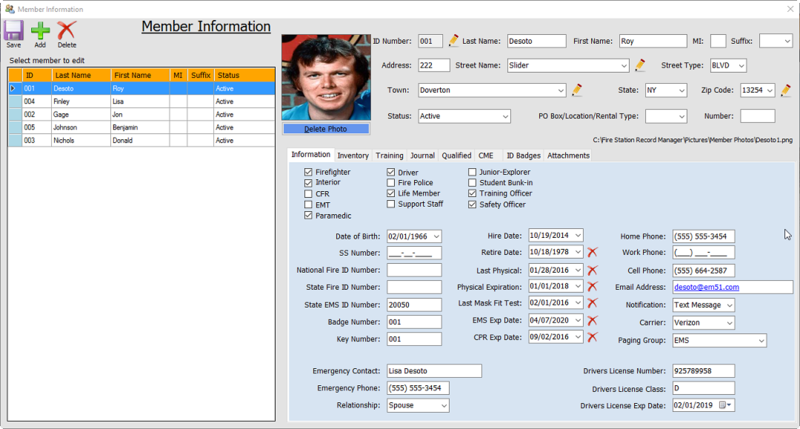 Fire and EMS reporting is accomplished through easy to use pre-formatted forms. Progressive questions ensure that only required data fields are populated. 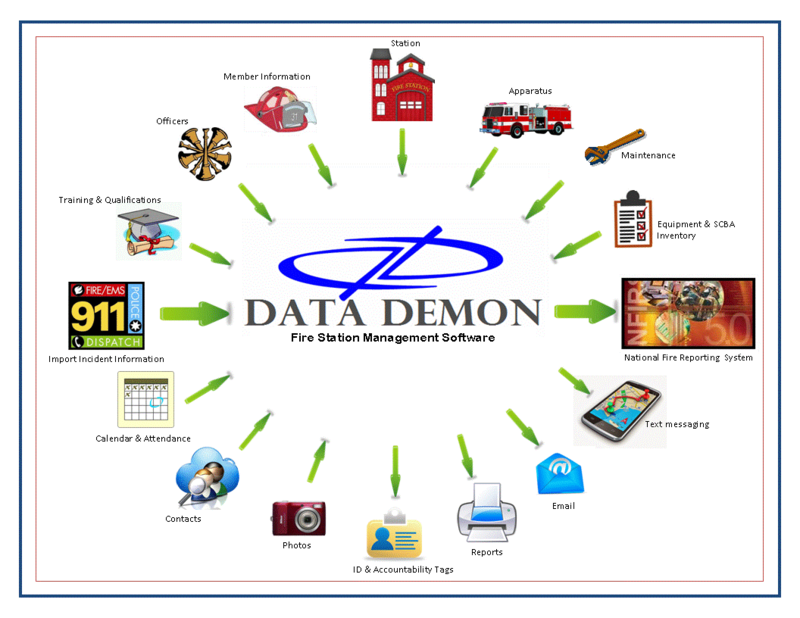 Fire stations that have ADI can import incidents transmitted from the 911 CAD systems. Easy to use NFIRS 5.0 compliant software with comprehensive error checking, ensure accurate data entry. After completion incidents are sent directly to the NFIRS database, with no more end of year hassle with compiling your records, burning a CD and mailing them to New York State. 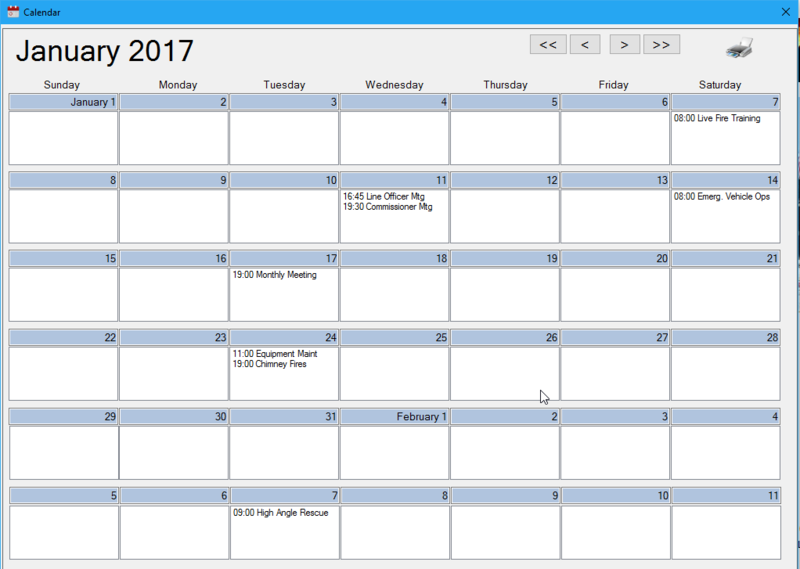 The calendar can be used for direct input and layout of your departmental scheduling of all fire activities and community events. 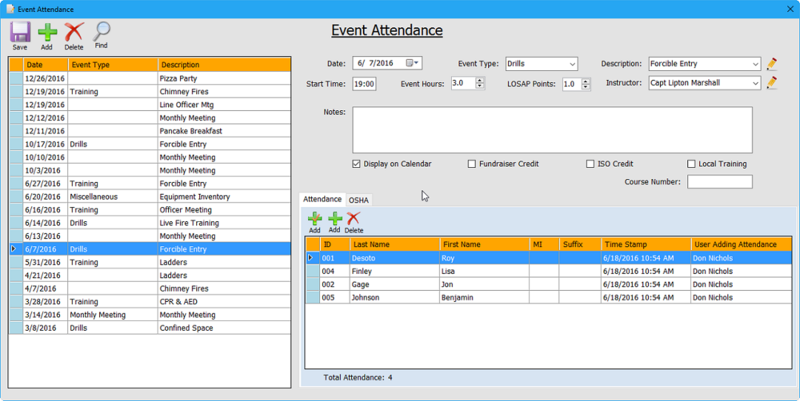 The calendar has a dual purpose of providing a seamless interface within the database for attendance and training accountability as well as providing this information instantly as an easy to read print out for all members. All fire department equipment and firefighter personnel provided equipment can now be accounted for and tallied with detailed reports. 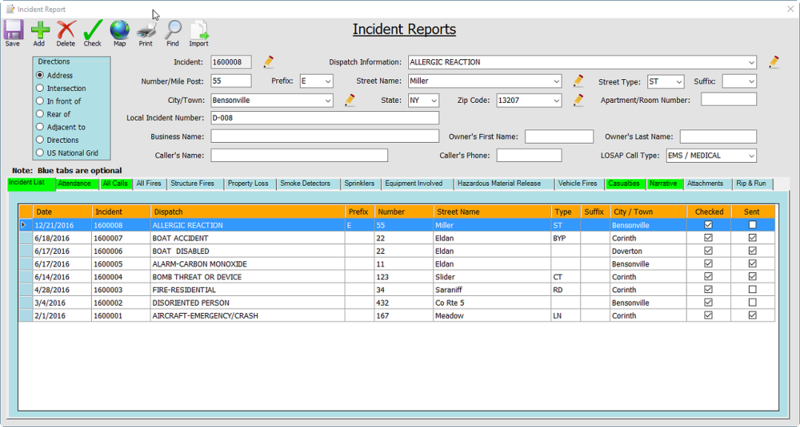 Yearly equipment accountability and fire department auditing now becomes much easier with the use of the inventory reports. Included is the ability for tracking monthly inspections, annually maintenance or repairs done in house or by outside vendors, including any cost involved are recorded and use to generate maintenance and financial reports. SCBA inventory and maintenance are one of the most important and time consuming tasks in the fire service. 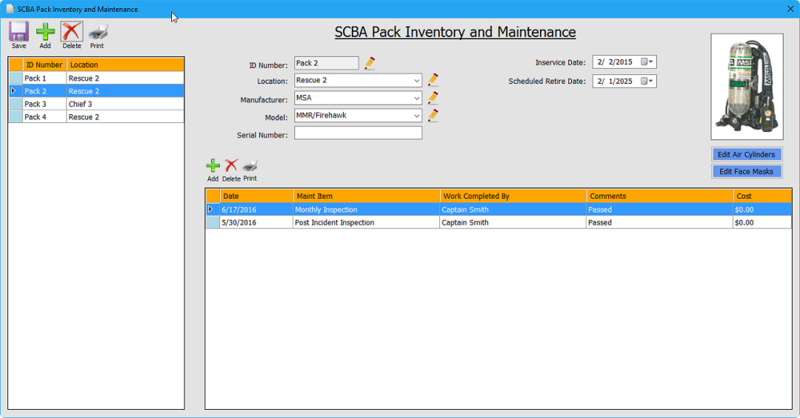 Tracking cylinder hydro due dates, SCBA inspections and running reports are now made quick and simple. 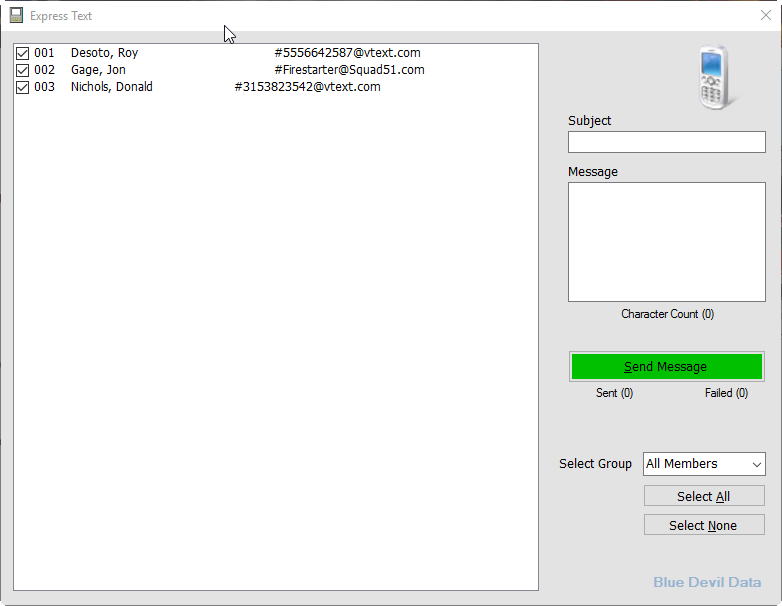 Integrated within the software officers, individuals, or all members can be sent a group text message or email. No need to buy expensive paging software, or spend time entering duplicate member information. Summary... We do it all, fast and easy. Saving you time and frustration.